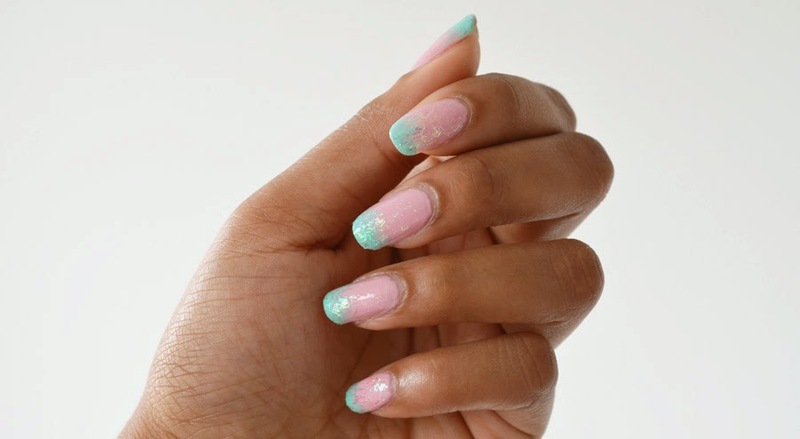 Now you can put the second color in a thin line on your nail tips. Finger 3, use a dry small brush to brush the polish upwards. Don't worry about the rough surface. 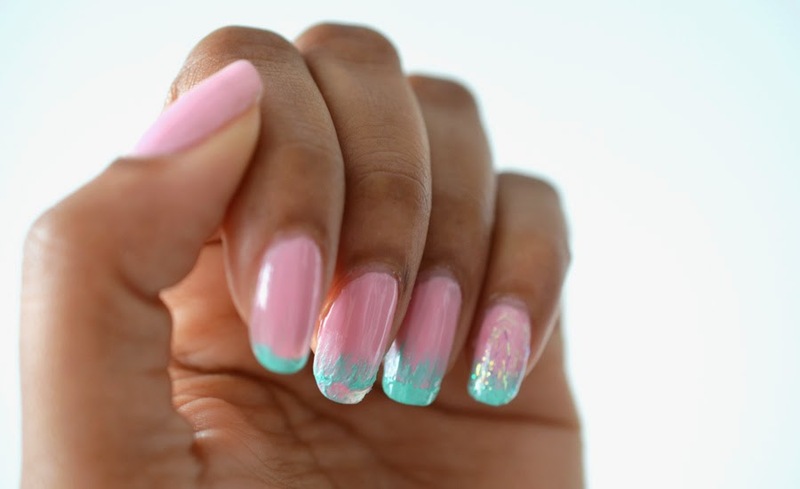 Finger 4, Put a second line of the color on your nail tips. And then finger 5, Put on a thick layer of top coat. This will blend the colors together to create a cute ombre effect. For best results repeat this process one nail at a time.